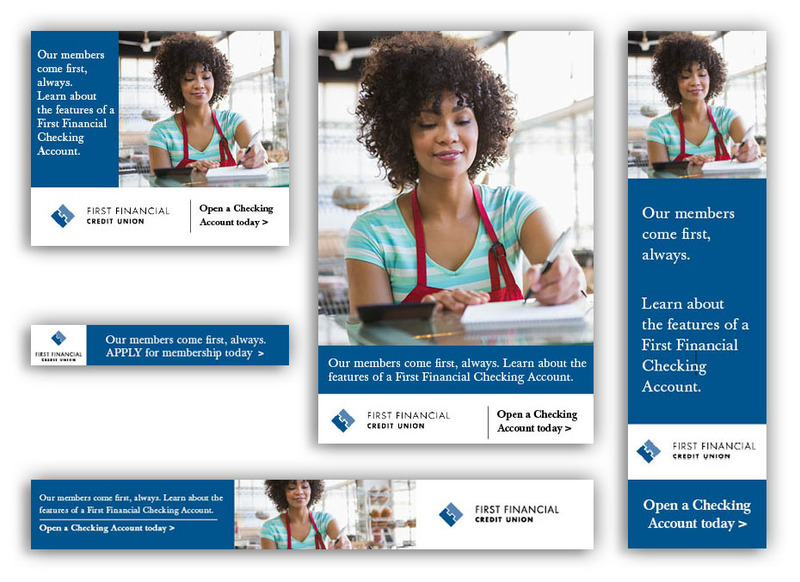 We partnered with First Financial Credit Union to create web and billboard ads. First, we created a brand guideline to give consistency to the ads across channels based on company values. Then, using the guideline for reference, we sourced natural-looking stock photos and created copy.